Dzhokhar Tsarnaev drove toward police and his brother Tamerlan in Watertown. So Tamerlan Tsarnaev didn’t have to die, after all. That’s what we learned Monday, when witnesses described how his brother Dzhokhar jumped in the Mercedes SUV they had carjacked and, instead of just driving off, made a three-point turn and headed straight for a scrum of cops who were trying to subdue Tamerlan. 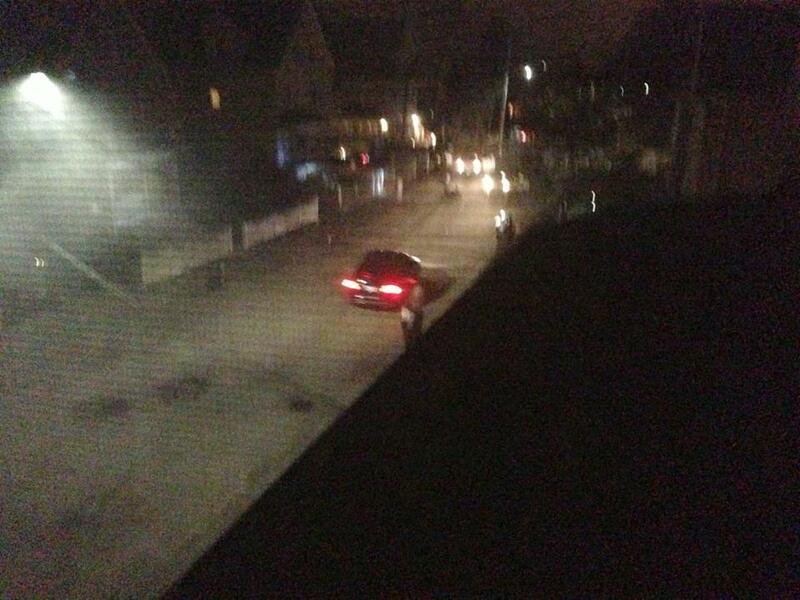 The cops rolled off and Dzhokhar rolled over his brother, dragging his body down Laurel Street in Watertown. That’s what killed Tamerlan Tsarnaev. It wasn’t the rounds Watertown police Sergeant Jeff Pugliese pumped into Tamerlan. It was Dzhokhar, as prosecutor Bill Weinreb said in his opening statements, running over his brother before he ran off to hide in that boat. Joe Reynolds, a Watertown patrolman, was the first to encounter the Tsarnaev brothers, four days after they bombed the Marathon, hours after they killed MIT police Officer Sean Collier. His cruiser crept past the Honda that Dzhokhar Tsarnaev was driving. Reynolds did a three-point turn and began following the Tsarnaevs. A few blocks away, Reynolds’s supervisor, Sergeant John MacLellan, told him to wait for backup before confronting them. “Light ’em up,” MacLellan said, when he had Reynolds’s cruiser in sight. But Reynolds never got the chance to turn on his blue lights. The Tsarnaevs got out of their cars and bullets started pinging off his cruiser. As Reynolds threw his cruiser into reverse, MacLellan drove by and pulled something you might see in a “Die Hard” movie. He kept the car in drive but jumped out and let it keep rolling. The diversion worked: Tamerlan fired repeatedly at the empty police car, wasting precious bullets. Reynolds and MacLellan took cover behind a tree and returned fire as the Tsarnaevs threw bombs at them. The first pipe bomb was so weak that MacLellan thought it was fireworks. Then Dzhokhar pulled out a pressure cooker bomb, like the one they had used to kill and maim at the Marathon. With great effort, Dzhokhar hurled that bomb down Laurel Street. That explosion was thunderous. MacLellan was so disoriented that he reholstered his gun, something, he acknowledged with extraordinary candor, you shouldn’t do in a gunfight. But MacLellan recovered quickly and not a moment too soon: he saw Pugliese on top of Tamerlan. Pugliese had flanked the Tsarnaevs, running through backyards and jumping fences, to begin shooting at Tamerlan from the side. But Tamerlan wouldn’t go down. Pugliese fired some skip shots, off the pavement, trying to take his ankles out. Instead, Tamerlan came charging at him. They fired at each other, 6 to 8 feet apart. Pugliese reloaded in the middle of the gunfight. Then Tamerlan looked at his gun. It was empty. He would have done anything for more bullets, but some of them were lodged in the Ford Expedition John MacLellan had rolled down Laurel. Tamerlan threw his gun, bouncing it off Pugliese’s biceps, and started running. Pugliese chased down Tamerlan and tackled him. That’s when MacLellan and Reynolds ran over to help Pugliese handcuff Tamerlan. Before they could do so, they heard the rev of an engine. Dzhokhar had made a three-point turn and was headed right for them. MacLellan said Dzhokhar could have avoided them. There was ample room to get by. The clear inference was he wanted to run down the cops. MacLellan and Reynolds rolled off. Pugliese made one last desperate attempt to save Tamerlan, pulling him by the back of his belt. The Mercedes passed so close that Jeff Pugliese could feel the breeze on his face. Tamerlan’s body got caught in the rear wheels and was spit out down the road. In the manifesto he left on the boat where he was captured, Dzhokhar Tsarnaev said he was jealous of his brother because Tamerlan was martyred. But it was Dzhokhar, not the cops, who martyred him.